SSL private proxy Review 2019 - Is It the fastest dedicated proxies? SSLPrivateProxy is known for its premium proxy services for dedicated usage. They offer specialized proxy packages for shopping, advertising, social media, gaming, and other general usage proxies. Although their pricing plans are a bit on the higher tier, their premium service makes up for that. All businesses nowadays need to devise strategic marketing techniques, competitor research, better online presence and so on for proper growth. A proxy service is essential to do all these tasks safely and some more. While there are many services currently offering private proxies, not all of them offer the same set of features. To help you to find the best proxy service in terms of features and facilities for your business, we have reviewed some of the most popular proxy services in our review series. In this review article, we have discussed the proxy service provider, SSL Private Proxy. Our initial impression is fairly good about the service. Founded in 2012, SSLPrivateProxy.com has grown to become a trusted name in the proxy service world with their premium high anonymous proxy and VPN service. Their myriad of specialized packages is suitable for businesses that are focused on specific tasks. Their premium service also guarantees virgin proxies and 100% working proxies for all requirements. In this review article, we will discuss only their private proxy services and not on the shared proxies or VPN service. To review their service, we purchased 10 private proxies and used them for over a week. During our review period, we have found some notable features that they offer and also some key points that might turn you off from buying their products. You can find these pros and cons in a convenient table below. High anonymity private HTTP/HTTPS proxies. Lots of specialized packages for specific purposes. Many locations across the world. A diverse collection of proxy IPs. Monthly randomization of proxies is enabled for most packages. Payment via credit cards and PayPal both are accepted. Option to buy proxies for 3/6/12 months at a much cheaper rate. Both IP Authorization and Username and password authentication are available. SOCKS proxies are not available. No trial period before buying. Price is more on the expensive side. SSLPrivateProxy offers not only private proxies, but also VPN service and shared proxies. The shared proxies are much cheaper than the private proxies, but as we are reviewing only their private proxy service, we will not discuss the shared proxies in details. Their private proxies come in many packages. They also offer some specialized packages of private proxies that can be used for specific purposes such as gaming, shopping, ticketing, social media, etc. These packages are a bit more expensive than the regular private proxies since they are specially chosen for the best performance for specific usage. The regular proxies are available for as low as $15 for 5 proxies. The price drops to $12 when the same package is purchased for a full year. We liked this feature since monthly payment is a hassle for many and the proxies are offered at a much lower price when bought for a longer term. You can know more about their pricing plans from the tables below. You should also look out for their discount offers during summer/winter season. SSL Private Proxy has a vast network of servers across the USA and Europe. They have more than 300,000 dedicated IPs distributed in 39 locations around the world with 34 locations in North America. They are also generous while allotting proxies for each package. All the proxies we received were non-sequential and were from 6 cities from the USA and Europe. You can find a list of all their proxy servers on their website along with an interactive map. We performed a series of four tests on each of the 10 proxy IPs we bought. Among the tests are, speed test, ping test, geo-location test, and IP compatibility test. Our first test was to check the connection establishment test and speed test. We put the proxies to our speed test. We used speedtest.net, the world’s number one speed testing site, to test the speed of the proxies. One good thing is, the speedtest.net servers could connect to the proxy servers and show us their ping result. SSL Private Proxy boasts that they have 1000 Mbps internet connection in all their servers. So theoretically, there should not be any bottlenecking due to proxy service if you have a moderate connection. But practically, when we tested the proxies ourselves, we experienced a little bottlenecking on some of the proxies. This implies that the bandwidth is distributed among many users, which affects the speed. Our internet connection was clocked at 50.28 Mbps for downloading and 397.57 Mbps for uploading with a ping of 2 Ms. Almost all the proxies had connection speed of over 20 Mbps for downloading while one came very close to our speed, implicating that the speed might have been even more if it was not restricted by our connection speed. However, 4 of the 10 proxies had inferior speed, topping at 2.01 Mbps only. Other than that, the proxies are suitable for most businesses to do web scraping, social media marketing, classified ads posting and other general stuff. You can see the table and the detailed test results below. After speed test, I go another ping test, Thoug the speed test offer the ping speedtest.net, And on ping test you can get the “ping” from different locations. This checks the duration needed for the server to respond and is an essential parameter for proxy services. 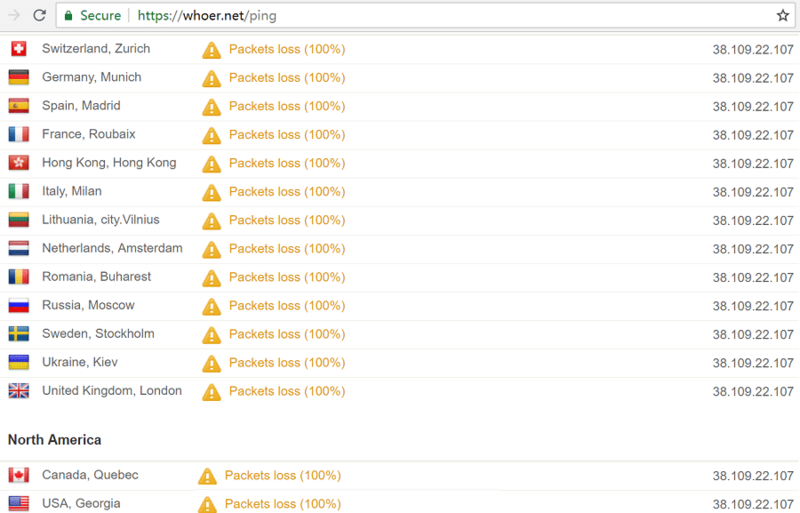 We used whoer.net throughout our review series to find out the ping for different proxy services from the same set of locations. Unfortunately, After I do first IP, then whoer.net is not woking at this time, none of the proxies from SSL Private Proxy seemed to respond to the test. This happened with some other services as well. We have to update this test later. So, we could not get a clear view of the ping test and cannot compare with the performance of other services. However, speedtest.net shows a synthetic ping to their closest servers, which we have added in our ping test. Another important thing to check while buying proxies is, whether the proxy works properly and can replace our original IP with the proxy IP. To test this, checked the proxy IPs with geolocation testing tools. We used iplocation.net to see an aggregated result from several location testing sites. In our test, we found some of the proxy IPs to be of the same location as advertised by SSL Private Proxy. It was mentioned in the proxy package we bought that, multiple locations would be provided, but did not explicitly mention the number of locations. After testing, we found that the proxies are distributed in 5 cities in 3 states across the USA and included one proxy from the UK. The IPs were not sequential as well which is also a positive feature. Since all the locations were not same as mentioned by SSL Private Proxy, we are not overly satisfied. But as the proxies are from various locations and did not include sequential IPs, we are okay with the result. You can find the full result in the table below and compare our test result with the locations that SSL private proxy mentioned in their list. 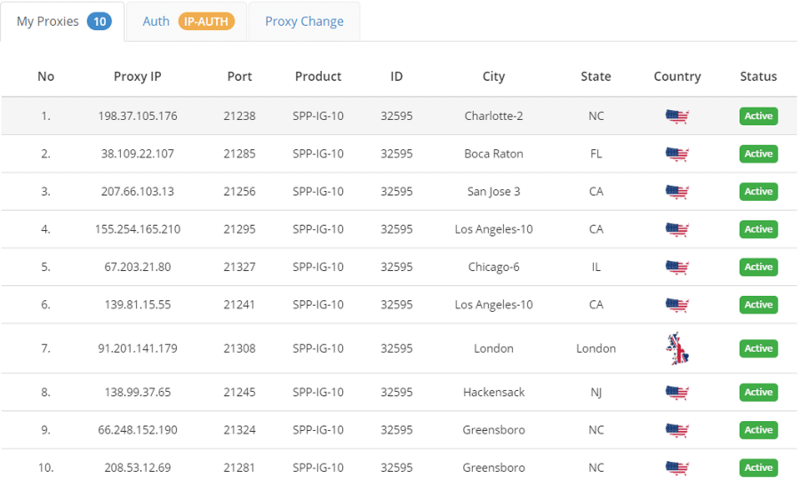 ISP: Carolina Digital Phone Inc.
ISP: Carolina Digital Phone, Inc.
We have also performed an IP compatibility test to see if the proxies can access some of the most used sites including social media, Netflix, Amazon, Craigslist, etc. Many of these sites need unique IPs for each account, and so SSL Private Proxy offers specialized proxy packages with virgin IPs for these sites. Still, we tried to access the sites and found that none of the sites are blocked by SSL Private Proxy to prevent the users from accessing and creating accounts. The test result is very satisfactory as you can see below. The proxies offered by SSL Private Proxy are of high anonymity. So, your IP address is not sent to any website you are browsing as the requests are handled with their IP address. 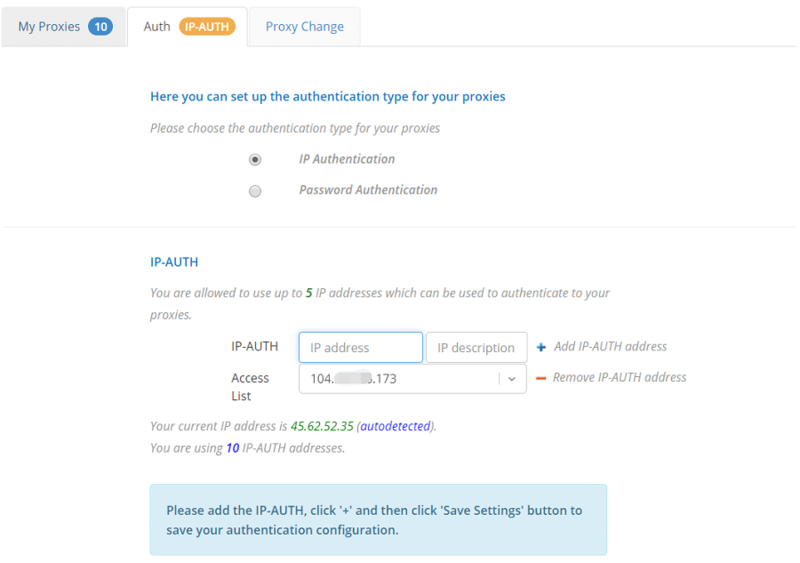 SSL Private Proxy uses IP Authorization method to authenticate login. So, the login is much easier and secure. It also lets you connect from multiple devices at ones if they share the same IP. SSL Private Proxy does not allow users to test proxies prior to buying. But if you are not satisfied with their service, you can request to get a refund within three days of your purchase. This comes with some conditions such as you cannot use the proxies to create accounts in social media or post ads and so on. You can request for a new set of proxies each month easily from your control panel. Please note that not all packages offered by SSL Private Proxy supports proxy refreshing, so make sure the package you want to buy has this feature before buying. SSLPrivateProxy has a well-organized website from where you can quickly get to know all about their services and can purchase a package. Some of the proxy packages can be bought for more than one month if you are buying upfront. The rate is much cheaper in those cases. SSL Private Proxy accepts payment via PayPal, Credit Cards (via WorldPay) and Bitcoin, Ethereum, Litecoin, etc. SSL Private Proxy supports both IP authentication and username-password authentication. You can easily choose either of the authentication systems from your client area. After selecting any of the authentication methods, you can start using the service instantly. 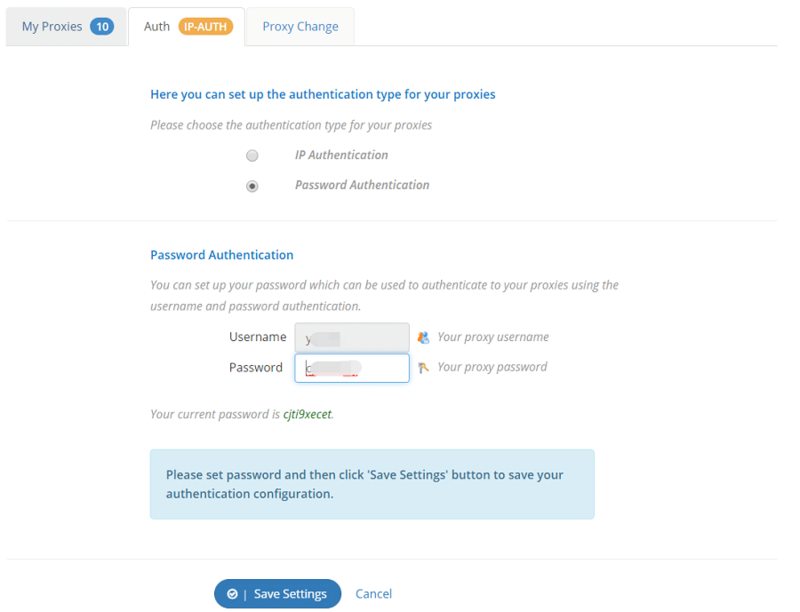 After setting up your authentication method, you will need to configure the network settings. The configuration process is similar across almost all applications. You can find the network/proxy settings in the settings panel. You can also set the proxy settings as a systemwide proxy from the control panel of your PC. You can also use your smartphone to use the proxies by going to your mobile’s settings panel. SSL Private Proxy initially impressed us with their inexhaustive list of features and well-made packages. But the pricing plans seemed a little bit overwhelming to us. We decided to try out the service nevertheless since their high price tag also comes with added benefit of premium customer service which is mainly required for many users. But after our review, we were not particularly happy with the ping problem, and the high ping showed by the speedtest.net results. However, their high-speed connection, diverse locations of servers impressed us. But the most impressive that we noticed was that the general-purpose proxies were compatible with all the sites for which they have dedicated proxies. 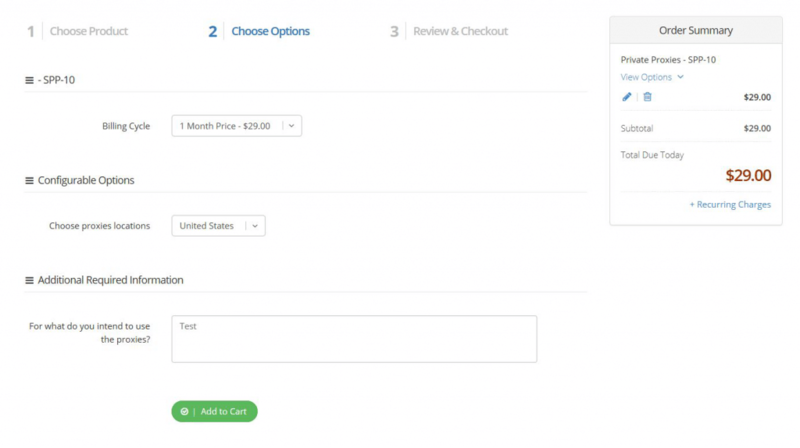 So, you will not need to purchase multiple packages if you need to access different sites. We can recommend the service if you intend to use the proxies for social media, web scraping, SEO, classified ads posting and other general usage. SSL Private Proxy has always been a popular choice for the users, and we hope that they will investigate the issues raised by the users and improve their service.